The Great Fanny Pack Debate: Functional Accessory, or Fashion Faux Pas? Our most recent trip to Disney was peppered with the occasional well placed jab about my beloved fanny pack. Yes, you heard me right, while at Disney, I have succumbed to the fashion crime that is the fanny (or hip) pack. I could try to argue that the name "hip pack" carries with it a claim of coolness, after all, its hip right? But this argument seems to fail in the presence of fashionistas everywhere. I am as of yet, unfazed by the criticism of friends, and resolved to continue using the fanny pack for at least the near future. Do I like the way it looks? Of course not. But while at Disney, I am there to enjoy myself to the fullest amount, and honestly that tacky hip pack makes my life much easier, and more comfortable. That fashion no-no on the right is me, with the offending fanny pack. Lets face it, everyone needs to carry a few essentials with them to the parks. My pack always contains a basic wallet with ID, my Tinkerbell Disney Visa, my KTTW card, cash, annual passes, and DVC card. I then usually also have sunglasses, hand sanitizer, and a cell phone. These are things that need to be carried on your person. I can't leave my cell and wallet with the stroller! And frankly, carrying them in my pockets is just uncomfortable, and I'm always afraid something like my iPhone will fly out on a trip down Splash Mountain. Could I carry these things in a fashion forward cross body bag? Of course, and indeed I have, but it's just not as convenient. With a cross body bag, you must either rest it on your lap, or slide it to your side on a ride with a harness. When its on my lap, the bar doesn't always come down far enough to offer safety to my little ones riding with me, so I feel I need to move it to the side. This then causes the lap bar to pull on my purse strap, which pulls on my once broken shoulder, and honestly I find it uncomfortable. And it could still fly up and bounce around. I could take it off, and put it in the little basket area in front of me, but then I could forget it, despite the "Please gather your items and take small children by the hand" warning. Also, when traveling with small children who often wish to be lifted up, doing so also causes the cross body bag to pull uncomfortably on my shoulder. Many people carry the very cool backpack. Well, that means I have to take it off my back every time I want to sit down on a ride or in any type of seat with a back. Not convenient, and honestly, I'd probably accidentally leave it somewhere. Also, I just don't need something as big and heavy as a backpack. The little fanny pack is just the right size! High Fashion Fanny Packs are back! See, I AM fashion forward! The nerdy fanny pack however, is essentially hands free. I have no need to take it off, it doesn't pull on my shoulders, it is out of the way of all of the ride restraints, it doesn't get in the way when I am holding children, and I can't leave it behind on a ride or at a table. Do I pay a price for this convenience? Perhaps. I know our good friends who travel with us feel very cool standing next to me at parades and fireworks, but other than that, I find no downside. I am not trying out for America's Next Top Model, nor am I trying to pick up a handsome Jungle Cruise Skipper. For me, Disney is about having fun with my kids, hubby and inner kid, not worrying about what complete strangers think of my fashion sense. Okay, well maybe not always. While attending the Disney Moms Panel Meet and Greet, I basically used the fanny pack as a shoulder bag, and did NOT wear it on my waist. In this situation I didn't NEED the convenience of the fanny pack, it was just the bag I happened to have so it went with me. So for now, I will be a proud member of the Disney Fanny Pack Family. Have no shame fellow fanny packers! Unite for the hands free convenience this "Glamour Don't" provides! bag, as not to embarrass my friends! So...do you fanny pack? Why or why not? If anyone wants to email me a photo of your proud fanny packing self, send it to DizKrazKate@gmail.com, and I'll try to post some next week! 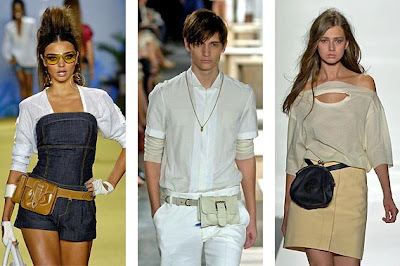 Or if you have the perfect solution to the fanny pack vs. fashion dilemma let us know and/or send me a pic of that! DisKrazKate is my wife and thought it would be interesting if I wrote a trip report. To put my opinion into perspective, I would say I am not Disney Krazy like my wife. Disney World is a great vacation spot but my ideal vacation is Hawaii. 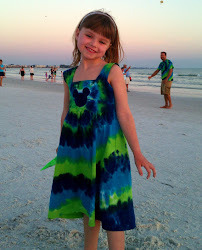 Which as her loyal blog readers know, we went to Hawaii this summer and we toured Aulani before it opened. That being said nothing is better than skipping around Disney World’s Magic Kingdom with my kids. There is something about the pure joy in a 6 year olds’ smile, being a goof ball with his Dad. My position is, if you are there you might as well embrace your inner kid. My first trip to Disney World was with my wife and kids during the Year of a Million Dreams so that kind of sets what my expectations are for Disney service. Our home resort is Kidani Village in Animal Kingdom, which we bought into 3 years ago at the same time our good friends did. I believe my wife and friends had secretly planned the attack in advance, when they ambushed me into buying Disney Vacation Club. I will admit this was the best thing I ever caved in on. Having DVC forces us to vacation. Even better, we frequently get to do it with our closest friends and family. Before we even left home, the vacation juju was working against me as many people in my office were getting sick, and decided to pass it on to me earlier in the week. So on the Friday before we left, I went to my doctor to make sure it was not something more than just a cold. My doctor thought it was just something viral going around. Since I was going on vacation, she wrote a prescription for a Z-pack just in case things did not clear up by that Sunday. We left on Saturday and by Sunday afternoon I still was not 100% so I decided to get the script filled. After using my iPhone, I found that I could complete a form and have it and the script faxed to Turner Pharmacy. Turner will deliver to the resort as long as the original script at time of delivery is at the front desk. This was really convenient as we went out to enjoy the park instead of going to the pharmacy or waiting around the resort for the delivery. When you go to pick up the script from the front desk, make sure they check the safe as they originally did not find my script because it had been placed there. 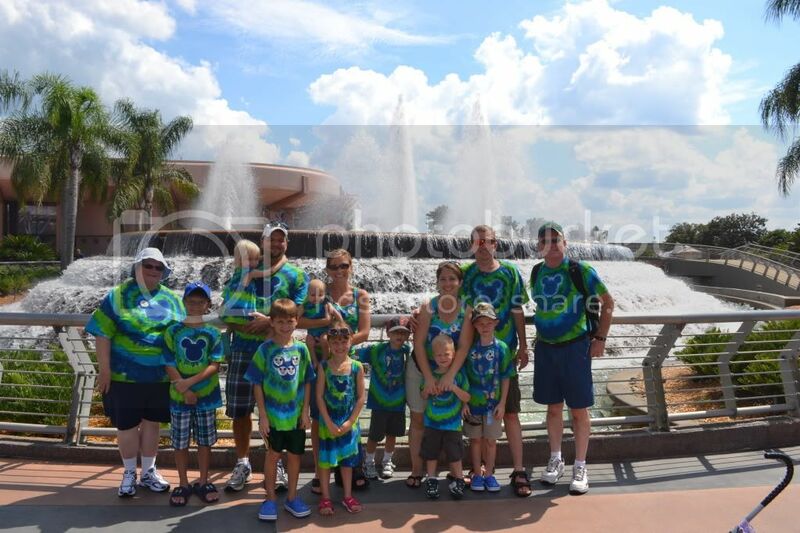 After an 8 day trip to Disney World where we stayed at Bay Lake Tower, the overall vacation was a resounding success and everyone had a great time. 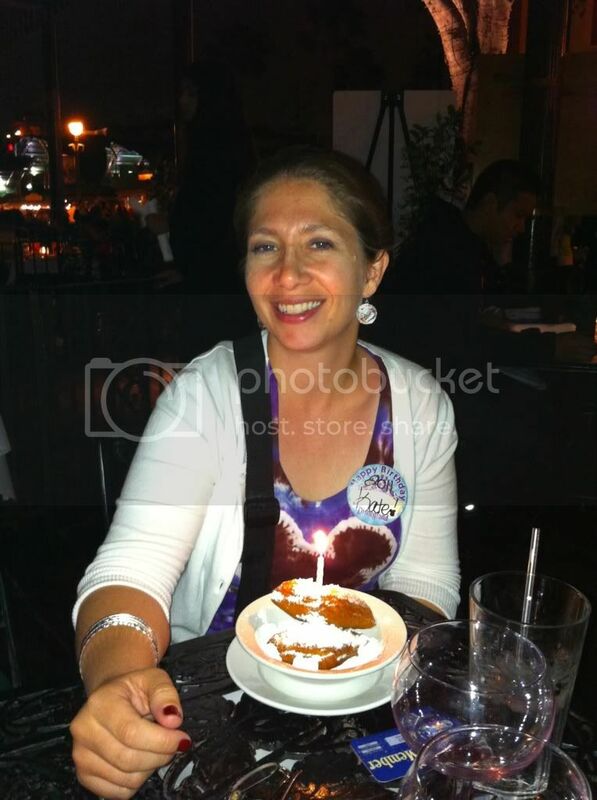 We celebrated our friend’s 40th and we celebrated Walt Disney World’s 40th. I think it will be pretty cool to say we were there for the 40th. 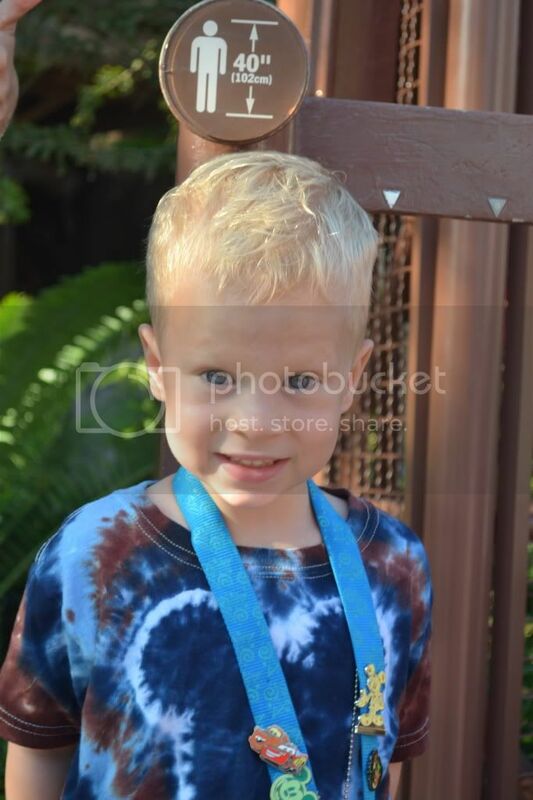 I consider the trip such a success because I helped convince our friend’s 11 year old to start riding Big Thunder, Splash, Space Mountain and Test Track. In addition to that, my youngest was tall enough to ride all but Space Mountain and my middle child got to ride Space Mountain for the first time. We now have a group of roller coaster junkies. Look, Mom! I'm tall enough! I do have to give kudos to our friend’s wife. She found a great gift for his 40th birthday that we all got to share in. While trying to find a unique experience at Disney to do, she discovered that you could rent a boat from Disney to go out on Bay Lake to watch the “Wishes” Firework show. This turned into quite an adventure. As we were making our way to the dock at the Polynesian, we came across a pontoon boat. It had a banner on it that said, “Happy Birthday” and her husband started cracking jokes about it being for him. That was not the correct boat, but when we got to the end of dock where our boat was supposed to be, it was gone. After finding a cast member and some anxious waiting by our friend’s wife…the boat she had rented returned to the dock. It turned out the party that rented the pontoon boat had some how made their way on to our boat. The boat was beautiful, it had 3 bedrooms, 2 showers, etc. The boat quickly took the 14 of us to about the center of Bay Lake in front of Cinderella’s Castle. We just made it for the “Wishes” fireworks. They piped the sound track to “Wishes” over the sound system on the boat. It was absolutely spectacular to watch the fireworks from the lake. After the fireworks were complete, we cruised around the lakes and also watched the Electrical Water Pageant. Disney did make it right by cutting the price in half. Arriving at the Contemporary Resort was a disappointment in contrast with arriving at Kidani Village. At Kidani, they greeted us by name while at the Contemporary they just guided us to the check-in desk. The Contemporary is no different than any other hotel that you would go to in any other city, which was a let down. Over the course of the week little things stood out that made Bay Lake Tower look like it was poorly conceived and poorly put together. Even though it is only a few years old the furniture looks cheap and it is already showing the wear. The doors to the bathroom look like they were cheaply hung closet doors. The very least the doors should have been true pocket doors. The trim work that was added to prevent people from seeing you using the toilet looked very cheap and in one case was not even completely painted. The wall behind the counters and the stove in the kitchen had some glass like or plastic surface that had obviously been damage at some point because Disney had hung some brushed metal on the one side and used 3M double sided foam tape to hang it rather than replace the damaged section. Our friend’s room was missing an electric outlet cover. I will say, I really liked the comforter that was on the master bed better than the one in Kidani. My other big issue with Bay Lake was there was no way to get to the Contemporary without getting soaked when it rained. Rain blew through the walkway and as we went to go through the doors from the walkway into the Contemporary water poured down. By far the pool and splash pad at Kidani surpassed Bay Lake Tower. The splash pad at Bay Lake Tower was a Mickey with 3 or 4 spots shooting up water. Kidani has a slide, water cannons, several spots where water shoots up and other fun things in the splash pad area for toddlers. The pool itself was fine and comparable to the pool at Kidani. 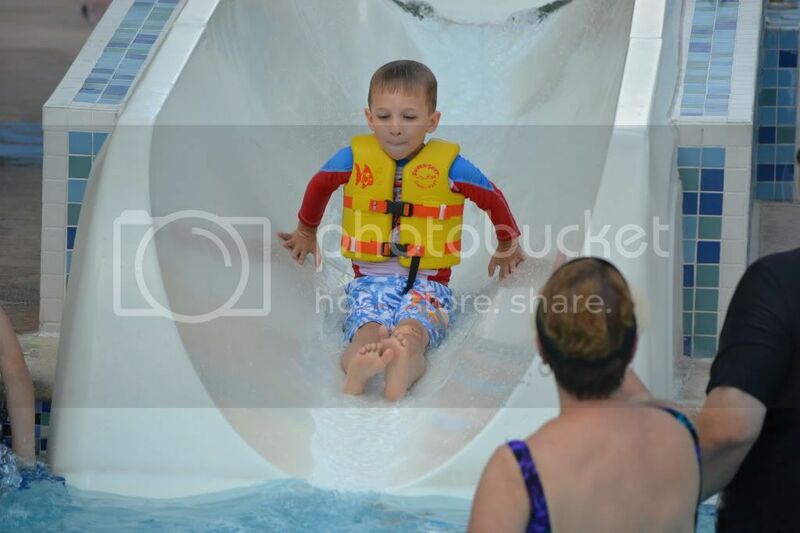 However, the steps leading up to the water slide at Bay Lake Tower’s again seemed like it was poorly put together. Screws were only half way in and algae was growing all over the steps. For our friend’s actual 40th birthday, we went to the top of Bay Lake Tower to watch the fireworks. It definitely gives a different perspective on the fireworks. It is not quite as magical as watching it from Main Street USA or Bay Lake. It was interesting from an engineering perspective, to see the different areas of the park where fireworks are launched in order to make the magic. Our only big issue with the rooftop was there were mosquitos everywhere. One might think that citronella or some other tactic could be used to keep the mosquitos away. I mean with all the engineering marvels that Disney accomplishes, one would think that they could keep mosquitos away from one of the signature selling points of Bay Lake Tower. This trip included riding Star Tours for the first time since the ride was remodeled. The 3-D version is fantastic. The kids loved it, including our 4 year old, who got to ride it for the first time. We were told there are 50 different versions of the ride so that is really cool. Also every kid will be wishing to be made the “Rebel Spy”. Our oldest got selected and has been talking about it every since. So not to spoil it, I will leave it at that. 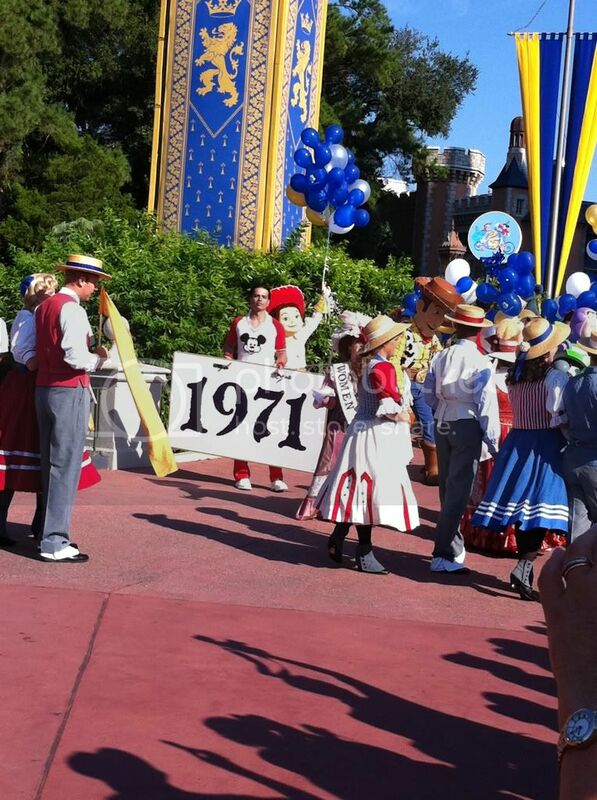 On day 7 of our trip was the 40th anniversary of Disney World. I was signed up to run Mickey’s Halloween Family Fun Run 5k, but decided not to run it because I was still not feeling 100%. I did rally and took my 3 sons to the park opening, arriving there at about 6:45 am for a 9am opening. We were one of the first 1500 people in the park and were allowed to enter the park before the official opening. We each got a wristband to buy something, we were not told what. We made our way to the castle for the 10 am presentation. I honestly thought Disney would make a bigger deal about the 40th given what the Year of a Million Dreams was like. Instead, for our efforts all we got for free was a button, but pretty much everyone that came into the park got the button. The presentation was fun but I am not entirely sure it was worth getting up at 6:45 am. From the presentation at about 10:30 am, we started making our way toward Frontierland. On our way, I saw two lines forming at the Diamond Horseshoe. One was for our wristbands and the second line was for those who did not have a wristband. By this point, we had heard there would be special shirts, art and pins for purchase. It was only a half hour before we were to be let in so I decided to get on line. The line was already 100 yards long. Thus began the saga of waiting in line. Shortly after getting in line my wife had to head off to a Disney Mom’s Panel event at Epcot. 11 am came and went, noon came and went and rumors were flying that they had run out of shirts. Even a couple cast members were saying it. The line barely moved. Having already waited 2 hours, I could not leave the line…call me stubborn, and I knew my wife would be very disappointed. She did give me an out at this point but I was determined. We finally got in the door around 1 pm. I was able to buy 8 Mickey 40th pins, 2 per wristband. I bought a handful of ladies t-shirts and men’s t-shirts for our group. There were some nice lithographs for sale and the artist was signing them. Basically, you could by 2 of each of the special pins and then you could shop for shirts, art and other memorabilia. 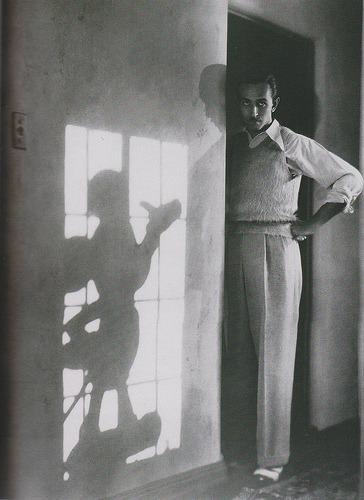 My general impression of this saga was that Walt would not be happy. First there were no kid’s sizes. I am sorry but this is Disney World, it was made for kids and adults. Secondly, we were told we would be let in at 11 am and it turned out to be after 1 pm before I was let in. I know there was another couple 100 yards of people behind me. My friend stood in the standby line for 5 hours to get the pins. The slow line was partially due to small size of the space. Disney had only 8 cash registers open and 6 were dedicated to the pins and 2 were for all other merchandise. 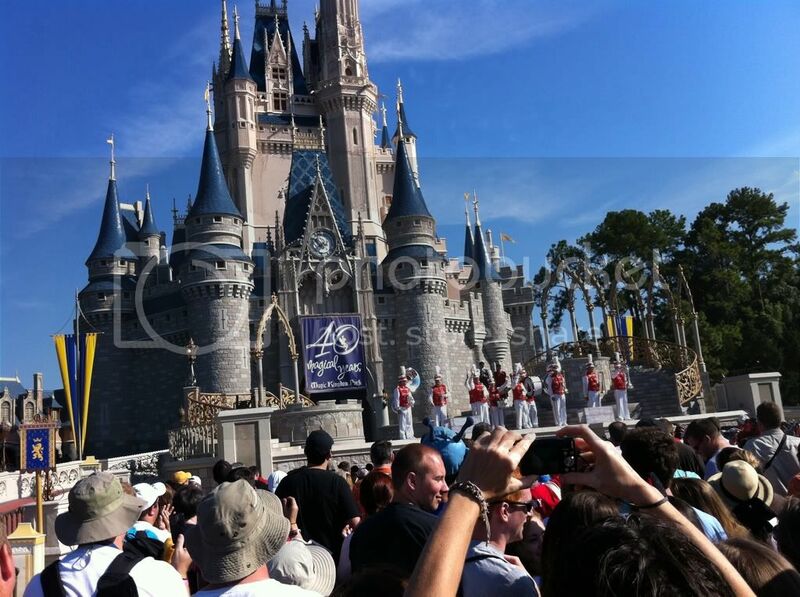 Cast members were being pulled from other parts of the park to help because there were not enough staff members there. At one point, I saw someone in a wheelchair unable to fit between the cash registers. As I told a cast member, I did not blame them but this was poorly planned. I know it was by choice that I stayed in line but I never thought it would be that long. The issues were clearly on management, that failed to plan. They needed a larger space, better layout for traffic, and they needed kids sizes. Also, Disney should have just given the pins out to the first 1500 people. I am sure they spent more money on prizes during a week of the Year of Million Dreams then they would have spent giving out pins to the first 1500 people. 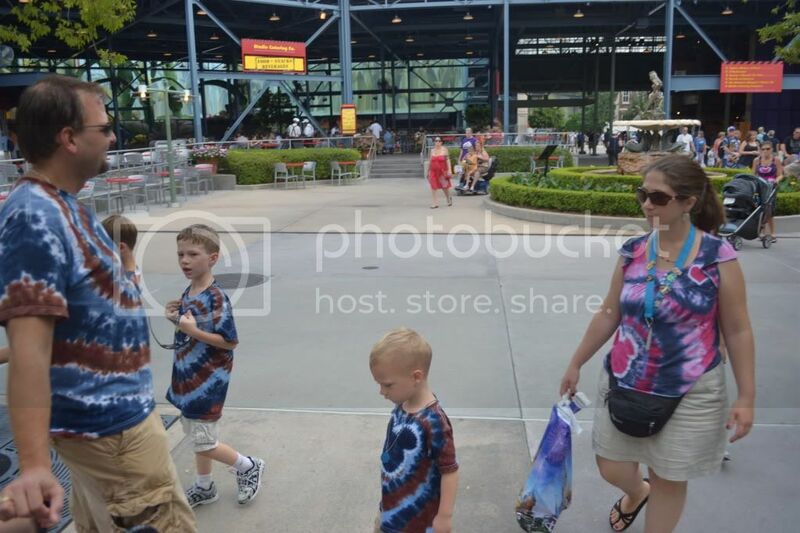 I also felt like there was some misleading information, because with the exception of the pins and art signing, the shirts and other memorabilia turned out to be the same at other stores including the shop in the Contemporary. I am glad I got the pins for the kids but I felt terrible because they basically stood in lines from 6:45 until 1:30 pm. I decided to cave in that night and bought the boys the Mickey pirate ship they had been asking for, because they had been so good in line. I hope Disney figures out how to do this better in 10 years for the 50th. The crew on Splash Mountain. No worries, the Grim Reaper is actually DS6! The final fun story from the trip comes from that night. The two dads took the 6 older kids to Thunder and Splash. While getting on Splash Mountain, I decided to video the ride. There were a total of 8 of us. Three boys were in the front seat. I was in the second row with my youngest son. 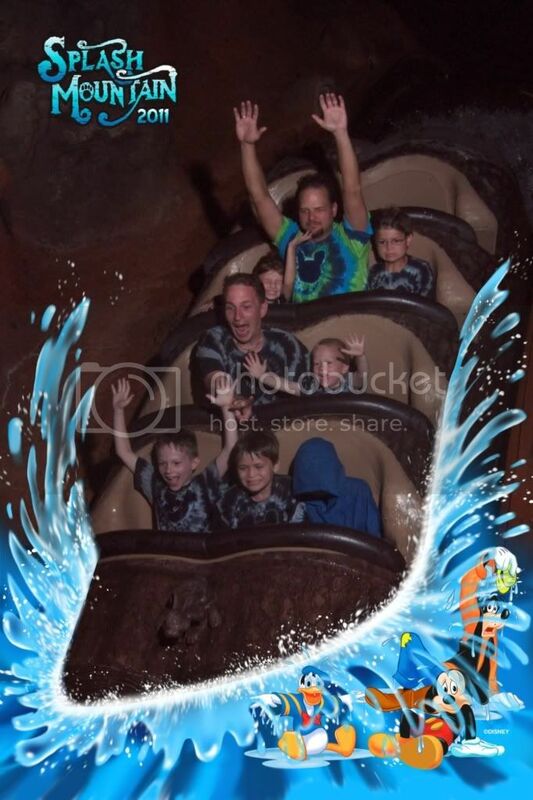 My friend was in the third row with his 11 year old son and his 6 year old daughter. The fourth row was empty. As we went down the big drop, I realized my hat was still on as it flew off with my 40th Anniversary button attached. I heard my friend yelp seconds later. It had hit him in the face but for some reason he did not hang on to it =). As it turned out, his son sitting next to him had left his grandfather’s Brewer’s hat on too, and it flew off as well. As we entered the station, the cast member let us stay on the ride since there was no one else there. I told the cast member that tweedle dee and tweedle dumb had left their hats on and lost them at the big drop and asked if there was any way to get them back. The cast member said sadly no, that the hats were probably gone. 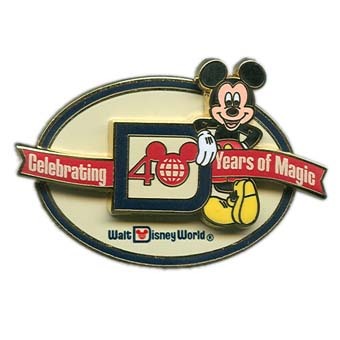 I was disappointed, as I had not only lost my hat but I had also lost the 40th Anniversary button. My friend’s son was disappointed too, because he had lost his grandfather’s hat. However, in true Mickey Mouse Magic, my friend’s lovely daughter handed me my hat as we left the loading area for the second time. It had evidently hit her dad in the face and fell to her feet. My friend quickly looked back in the fourth row but could not see the Brewer’s hat. Again Mickey Mouse Magic was on our side. Having gone down, the big drop a second time and as we exited the log boat, he looked down and there the Brewer’s hat sat in the bottom of the fourth row. All in all it was a very successful vacation and I am looking forward to staying at our home resort of Kidani Village this February when South Bend is covered in 2 feet of snow. 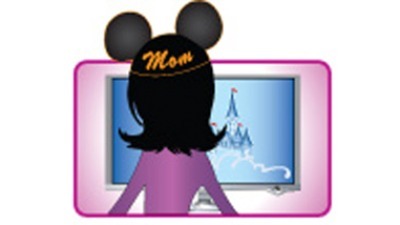 While my quest to be part of the 2012 Disney Moms Panel is officially over, I'm putting my Mouse Ears back on and looking to next year's applications for the 2013 panel. I can't lie and say I took it in stride, I was in fact, rather sad to get the "Thank you for your application" email rather than the "Congratulations..." email. I rather surprised myself with how hard it hit me. While at the Notre Dame vs. Air Force game in Notre Dame Stadium, I received a text from @RNAWAYMAMA that she had received her email. Now because there are 80,000 other fans in the stadium, getting access to texts, phone or internet can be very difficult during a game day. Although I received her text at 5pm, it had actually been sent an hour earlier. And of course, even with moving all the way to the outside edge of the stadium, I could still not get to my email. I resorted to trying to call my hubby at home. I was able to get through, and he had the unpleasant job of telling his Disney obsessed wife she did not make Round 2. After my 15 minute pity party however, I am moving forward. I was happy to learn of one Round 2 semi-finalist that made it to Round 2 two years ago, but did not last year, who has now made Round 2 again. You know when things don't go the way you wished, you start thinking worst case scenario? I was sure that I had said something on this year's application that was so bad I got put on the "never ever" list. But when I learned other people have been in the same situation and later made further rounds, I am back on the bandwagon and ready to see what next year brings. I've got a whole year to really work on expanding the blog, and gaining more followers. I'm setting a mini-goal of getting 10,000 views before the Moms Panel applications next year, and I'm hoping to maybe get to attend the Disney Social Media Moms Conference this winter. Next year I'll have two more trips under my belt, including a trip while quite pregnant, and a trip with a newborn, so I"ll be that much more qualified! For those of you who made Round 2, I offer my sincere "CONGRATULATIONS" and wish you luck as you await the results for Round 3. For those of you hanging out with the cool people like me who didn't make it this year, don't give up hope, and I'll see you next fall!! This past Saturday I was lucky enough to be on property to celebrate the 40th anniversary of the opening of Walt Disney World. There were numerous events going on all weekend, including a Haunted Mansion celebration, a runDisney meet and greet, Lou Mongello's 40 hour broadcast, and a Walt Disney World Moms Panel Fan Meet and Greet! About 2 weeks ago, while waiting for my son to finish his piano lesson, and checking out Facebook on my iPhone (thank you Steve Jobs), I saw a post from the Disney Parks Blog that there would be a Mom's Panel meet and greet on October 1st. Since we would already be there, I made a quick call to @RNAWAYMAMA to make sure she too was interested, and made a speedy RSVP. While I received a confirmation that they received my request, the response made it sound as if I may or may not be allowed to attend, and that a final invitation would be sent via email. Well let me tell you I was on pins and needles to see if we would get that invite! Move forward almost 2 weeks, and we are already having a blast at Disney. Again checking that trusty iPhone, I see I have received the official invitation via email! Hooray! The email contained both the official invitation and a copy of a photo release. I was able to use the business center at the Contemporary where we were staying to print out our paperwork. This was a LONG day for us. We were up and in a taxi for Animal Kingdom at 5:50am to participate in Mickey's Halloween Family Fun Run 5K. After the run, we made a bee line for the Magic Kingdom to be part of the birthday celebrations. We were able to see some of the festivities before we had to leave the hubbies and kids and dash back for a quick pre-meet clean up. Next stop...Epcot! After arriving at Epcot, we found the media table that was set up for the event near the turnstiles. We were able to check-in, and we received blue wristbands for admittance to the party. While we both had annual passes, they did have one day park tickets available for those that did not, and I thought this was a nice touch. Originally the meet and greet was to be held at the Yacht Club, but was moved to the Odyssey a few days prior to the event. I was excited to check out the Odyssey since my last trip inside was as a teenager when it was actually a restaurant. Upon arriving at the Odyssey there was yet another table where we turned in our photography wavers, and could have gotten the blue wristband if needed. I presume this was for folks who might already be in the parks, or entered via the International Gateway. There was actually a Cast Member stationed at the door to make sure that unsuspecting park guests looking for a restroom didn't wander into the party. We felt very special and exclusive! For a former fast food burger place turned party spot, the Odyssey was looking good! As you may have noticed on recent trips, the windows of the building are all covered, giving the interior a nighttime party atmosphere. To really give the room that magical Disney touch, there were these beautiful pink sparkle trees throughout the room. I don't know how to describe them other than to say they looked as if they had been sprinkled with pixie dust. They reminded me of something you would see in one of the new Tinkerbell animated movies that have come out on DVD. 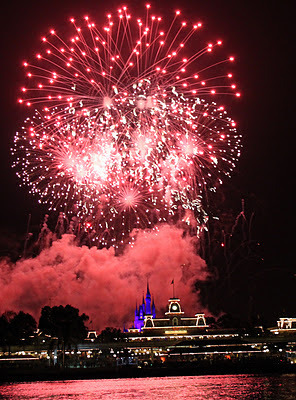 And really, what adds Disney magic like light up pink sparkling trees? There was a very nice buffet of hors d'oeuvres, soft drinks, wine and beer, and...my favorite...Mickey Premium Ice Cream Bars. Ok, they had those Mickey Ice Cream Sandwiches too, but I'm a Mickey Premium girl at heart. For those that had brought their families, there was a balloon artist there, who was probably the best I have ever come across. My favorite was a giant diamond ring made with lots of very small twists and turns in the balloon. Very cool. Quite a few Moms Panelists and Panelists Emeritus were there (I don't know if that's their official title, but that's what I'm calling them! ), as well as Laura Spencer. The panelists were wearing the coveted pink polo (or blue as the case may be), and so were easy to spot. The panelists did a great job mingling with the fans, and within a few minutes we had already met Dianne from CT. What a sweet and friendly person she was, and I felt so much more at ease having her come and introduce herself, rather than us walking up to the panelists and saying "Hi! I think you are so cool and amazing and I want to be you!". That might be a little creepy. We met quite a few of the moms and dads including Dianne, Kaylene, Ritzy, Angelo, Erin, Kim, Ca'Sandra, and Kay. Each and every one of them was gracious and friendly to the fans, and I truly felt welcomed. 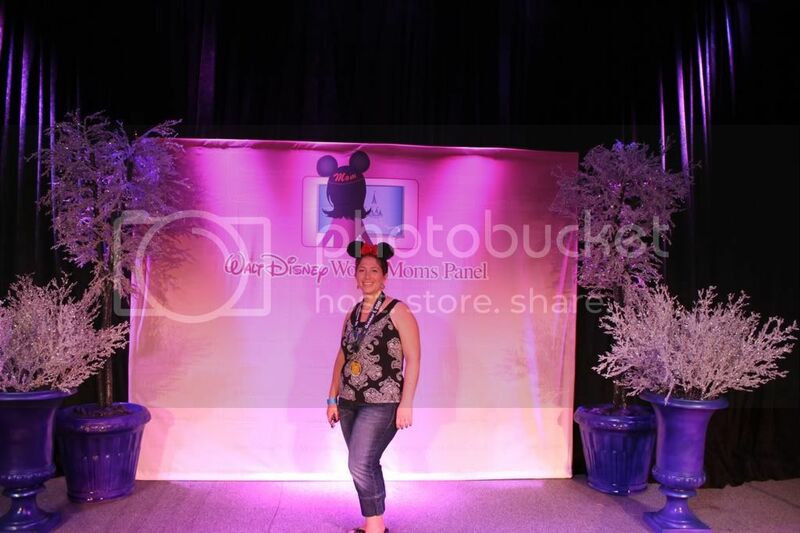 I was even able to have my photo in front of the Moms Panel backdrop, and so even if not chosen, I can add that photo to my Moms Panel wannabe collection. Who knows, perhaps it will bring me some good Moms Panel luck. After coming down from the stage for my wannabe photo, I noticed another familiar face in the crowd, and was just thrilled to realize it was Deb Willis from Allears! I always recommend this site to those planning a trip, and I use it myself frequently to keep up with the latest Disney happenings and events. My weekly Allears Newsletter makes me smile every time it appears in my inbox. I was able to sneak in and introduce myself to Deb, and I can truly say she was also a genuinely sweet person. I can imagine it must be hard to have Disney obsessed people the world over know who you are, and constantly coming up and introducing themselves. I realized it's a lot like being a politician. You meet some neat people, but also some not so nice folks, yet you must always smile and maintain the pleasantries. To top off my quick hello with Deb, she gave me a pack of Allears Trading Cards which I have been really coveting, and meeting Deb was one of the definite highlights of the entire trip. To round out our afternoon, we were able to sneak an introduction to Laura Spencer, Social Media Manager for Walt Disney World. She is know to fellow Mom Panel applicants as one of the original members of the Moms Panel, who now works for Disney and is basically in charge of the Moms Panel. 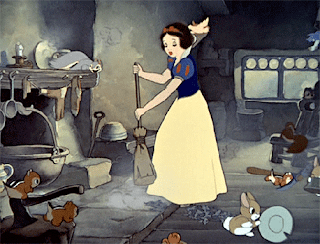 She is living the Disney dream, by starting out as a volunteer of sorts, and ending up a Disney Cast Member. Meeting her was quite a treat, and I was impressed as she met other attendees that she even recognized some fans by their twitter handle. It was apparent she truly loves the Disney experience, and has great people skills. At one point in the conversation, she brought up the fact that one of the wonderful things about Disney is that people from different places, different backgrounds and in various family situations can forget all that and just be together in their love for Disney World. We can all have fun at Disney, even if we may lead very different lives at home. I think this truly does sum up the Walt Disney World experience, and is a great answer to the continual question, "Why are you going there again?". It really was an amazing afternoon for a Disney freak like myself. 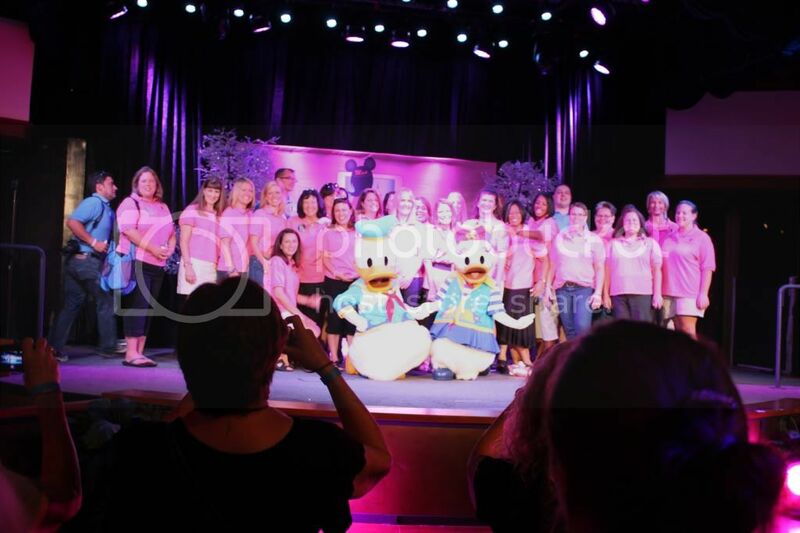 Getting to meet some of the well known members of the online Disney community in person was just so exciting! The only down side to this event, was that my desire to be on the moms panel has grown to a new level I didn't even know I had in me!